A knowledgeable and experienced physician is an essential medical underwriting resource to interpret and answer questions about complex medical information derived from the medical records. 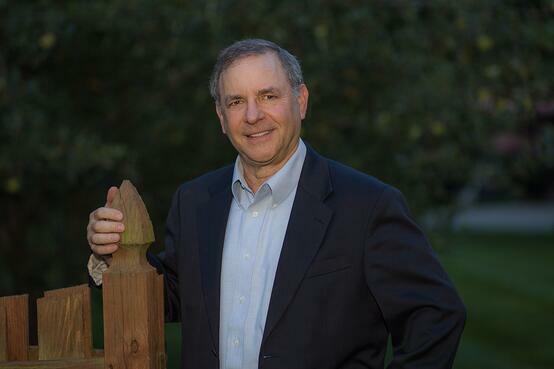 Strategic Medical Consulting, through its founding member, Dr. Jack Cotlar, has a proven track record showing that he is a trusted partner in providing this necessary insight and support to the client. Strategic Medical Consulting was established as a means by which the life insurance producer partners with a medical underwriting expert who provides the producer guidance during the underwriting phase of the case development. Dr. Cotlar does this by analyzing medical records through the eyes of a life insurance medical director and clinician (internal medicine) and then developing a strategy for submitting the case to the carrier in a fashion that optimizes the chances for successful placement in less time. Tapping on this consultation resource are successful producers who wish to provide their clients with “connoisseur service”, which sets their practice apart from others. If your clients expect outstanding service from you, I invite you to peruse this site and determine whether your practice could benefit by having access to medical underwriting advice from someone who is an expert in this field. Addition services are provided to life insurance carriers that may contract with Strategic Medical Consulting. In doing so they will be working with a physician who is an experienced corporate medical director who works very well underwriters as a medical underwriting consultant and a teacher, and he has experience in company claims review. Dr. Cotlar’s professional background includes 15 years of clinical practice as an internist and 25 years experience as a medical director for life insurance companies where he functions as a medical underwriting consultant. Dr. Cotlar is board certified in Internal Medicine and Insurance Medicine. Useful advice about field underwriting and case placement success can be found in my BLOG and “Quick Tips” Newsletters. After 25 years of serving as the medical director for life insurance direct carriers and more recently for a reinsurance carrier, Dr. Cotlar has an insightful understanding of the insurance sales force (producers) and the carriers’ underwriters’ key issues. Over the past decade, the interaction between the producer and underwriter has become increasingly more convoluted and unpredictable. Because of this, the needs of the producer and his or her clients are better served by having a medical underwriting expert advocate who works for you. Strategic Medical Consulting partners with producers enabling them to better present the clients’ medical issues to the carriers. Doing so results in the case being more likely to progress though underwriting quicker and emerge with a more favorable risk assessment (rating). Read more about Medical Underwriting Service. Dr. Jack Cotlar, the founder of SMC has 25 years of experience serving as a medical director for direct life insurance companies and more recently for a reinsurance carrier. As a Consulting Medical Director his services include medical underwriting, teaching underwriters, death claims analysis, and helping to establish internal underwriting policy. Read more about life insurance carrier services. Strategic Medical Consulting partners with individuals who wish to understand and optimize their health care. Maintaining control of one‘s health requires him/her to have past and current medical records at his/her disposal at all times. Read more about living medical records for patients.